But whether or not aging hit you hard—our city still looks amazing with the subtle changes this last decade has seen. Check out these before and after photos of places in Vancouver from (about) 10 years ago. Before it became Jack Poole Plaza, it was known as Thurlow Plaza. And of course, it didn’t have the iconic Olympic Cauldron from the 2010 Winter Games or one of the best Cactus Club Cafe locations in the city. BC Place looks a lot different 10 years later with the recent addition of the Parq Casino & Hotel. It even has restaurants inside including Victor with a sprawling patio overlooking BC Place. It’s managed to stay relatively the same over the last decade, besides the addition of the Trump tower in the downtown core. The 63-storey building is the second tallest in Vancouver and was completed in 2016. Vancouver’s bustling Granville Street has certainly lost and replaced memorable venues over the last decade, but luckily we still have the iconic Orpheum and Vogue theatres. English Bay, with the beach, city buildings and Stanley Park off in the distance, it’s easily one of Vancouver’s most beautiful spots. It’s always been gorgeous, something that will likely never change. 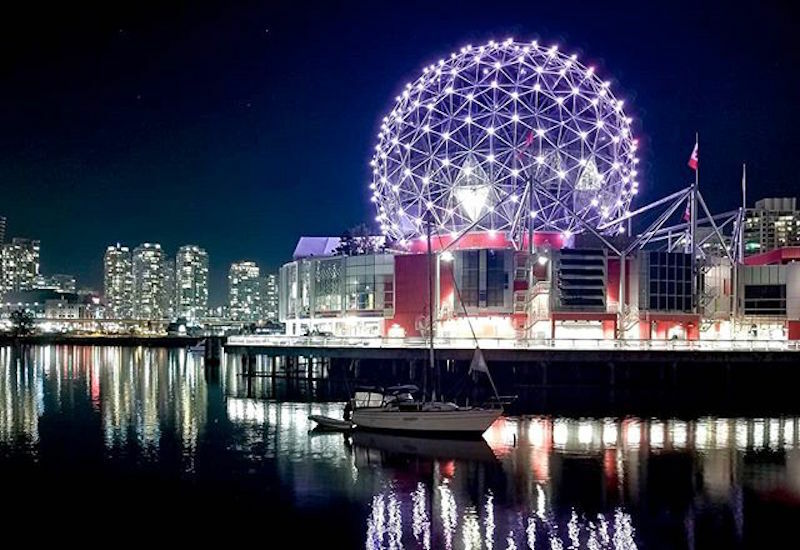 Science World along with False Creek look as stunning as ever in both of these photos, the above shot was taken in 2009 and the below in 2018. Stanley Park’s iconic Brockton Point lighthouse looks just as good (if not better) 10 years later. One of the city’s most architecturally stunning bridges looks good in both these photos, with the first being from 2008 and the second 2018. For more nostalgic photos of Metro Vancouver, check out these blasts from the past: Playdium, Rainforest Cafe and take a look at the city’s once popular night clubs.